It is April; therefore, it is that time of year where the international aviation world flocks to Hamburg, Germany in order to see and discuss the latest and greatest developments in inflight entertainment, connectivity, cabin interiors and a plethora of other aviation related innovations. Not to mention the prestigious Crystal Cabin Awards, which will be announced on Tuesday 2 April for the leading innovations and concepts of the past 12 months. This year is particularly noteworthy as AIX is celebrating its 20th birthday. But now, lets get down to some of the highlights from the past week’s news and a few companies you should be sure to visit during AIX. Astronics will demonstrate several new technologies at this week’s AIX in Hamburg, Germany, in Stand 3B30. The new technologies bring together a set of power, connectivity, interiors, and other solutions that will help airlines and airframe manufacturers improve the passenger flight experience while providing cost and operational efficiencies. Smart Sensing on the Aircraft: The company will demonstrate its pioneering Smart Aircraft System technology, which includes the innovative Intelligent Bin Solution, as well as additional features to detect the presence of passengers and other aircraft sensor data. This patented system uses Internet of Things (IoT) wireless technologies to detect and report in real time the status of various sensor data, such as remaining space available in overhead bins, passenger seat occupancy, and early detection of Lithium ion battery outgassing. “Our new Smart Aircraft System integrates hundreds of advanced sensors with our webCS wireless communication server to collect and present meaningful data to crew members on their portable electronic devices,” explains Jon Neal, President of Astronics Ballard Technology. “Crew members and gate agents can know exactly when to start checking bags and reduce boarding times. Additionally, they can understand when a seat is occupied and positioned for taxi takeoff and landing at a glance rather than a time-consuming walkthrough. There are a multitude of uses for this new system, which brings new data and insights into the hands of the crew in order to increase airline operational efficiency.” The Intelligent Bin Solution is shortlisted in the AIX Crystal Cabin Awards, and expected to start airline trials later this year. Learn more about Astronics Smart Aircraft Initiatives. Astronics will also preview some initial concepts for next-generation passenger service units (PSUs) in the booth. Intended to generate feedback and discussion with conference attendees and customers, the exploratory demonstration units will include features including finish treatments, smart technology additions, customer interface, and other features. 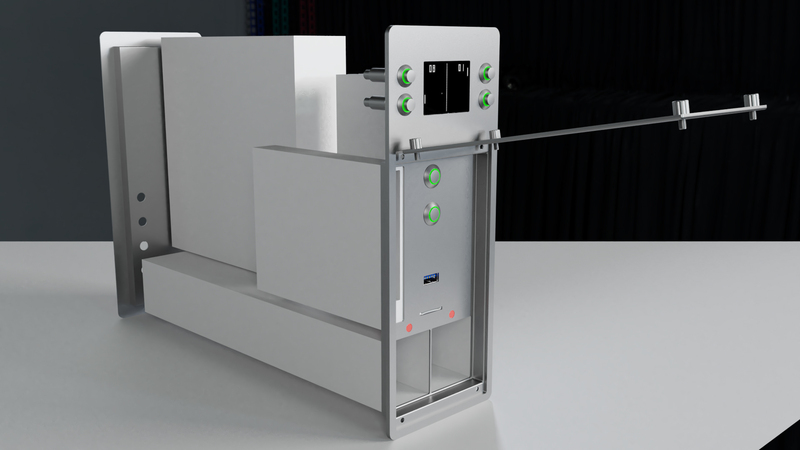 “The PSU is the unsung hero of the cabin environment, and we envision it can serve the passenger experience and the airline better than it does today,” said Dave Freund, President of Astronics PECO. “We are previewing these concepts for our customers so that as we go to develop next generation PSUs, we are working in partnership with them to meet their specific needs for safety, aesthetics, and technology. Astronics is also a pioneer in aircraft smart technology innovation, and we believe that some of the new features we can now offer will excite the industry.” See more about Astronics PSUs. Finally, in the smart aircraft category, Astronics PGA will demonstrate its smart wireless handset, the GemOne, which is shortlisted for a Crystal Cabin Award. From this single device, premium jet passengers can operate IFE and cabin systems, order meals, make telephone calls, and more. See details on the Smart Wireless Handset. 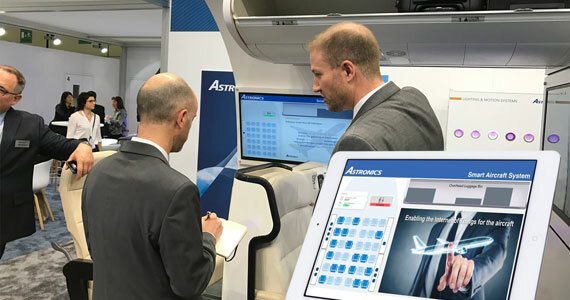 Inflight Connectivity Innovations: Astronics will preview a variety of inflight connectivity innovations at the show including the new E-Series electronically steered array (ESA) antenna system, developed by Astronics AeroSat in partnership with Phasor. Available in three sizes, the E-Series will provide Ku-band connectivity and offer multi-beam capacity for GEO/HTS, MEO, and LEO satellite networks. Ultra-low in profile, the E-Series supports the “make before break” requirement of non-geo networks. “We are creating some very exciting new technology with this product, and we think the new E-Series will provide seamless connectivity for both new and existing networks while providing a true, solid-state, active array antenna system. This provides a lot of advantages for airlines, network operators, and most importantly the customer and their inflight connectivity experience,” explained Matt Harrah, President of Astronics AeroSat. For connectivity routing inside the cabin, Astronics CSC will bring its next-generation Summit Line products of inflight connectivity hardware. Attendees can expect to see new versions of the Encompass portable wireless IFE system as well as traditional servers, content loaders, personal control units, and wireless access points. “Our inflight connectivity system is the most widely adopted infrastructure in the industry today, and we continue to add innovative features, such as security enhancements like WPA3, 10Gb Ethernet, Bluetooth low-energy, and 802.11ax, all meant to increase speed and reliability in our already robust and successful product line,” said Michael Kuehn, President of Astronics CSC. Previewing Li-Fi Applications for Aircraft: PDT, an Astronics Company, will demonstrate some new potential applications for the emerging technology of Li-Fi, in a collaboration with pureLiFi. Li-Fi leverages light to send information, in contrast to Wi-Fi, which uses radio waves. Proven capable of transferring data at an unprecedented several Gigabits per second in multiple channels, Li-Fi could eventually empower passengers to download an HD video in just a few seconds, or transfer data on and off the aircraft, for example. Powered Solutions: Keeping passengers’ electronic devices (PEDs) powered is even more important in today’s aircraft as more airlines depend on these devices to generate ancillary revenue through content delivery and Wi-Fi purchases. In support of this demand, Astronics will demonstrate a myriad of innovations including the recently introduced wireless charging module as well as their new High Efficiency EmPower USB Type-C PED charging system. Astronics will also have its airframe power system, CorePower, on display in the booth. This system will feature a new 115VAC version of its recently introduced Electronic Circuit Breaker Unit, which replaces conventional thermal mechanical circuit breakers and functions as both a breaker and a switch for controlling loads. Innovation at the Core: Astronics brings a long history of innovation and the successful introduction of new technologies and products to market, including the EmPower passenger in-seat power technology that has had a profound impact on the passenger experience. The new technology explorations plus proven systems can provide a foundation for future aircraft manufacturers, airlines, IFE providers, and other industry participants to improve experiences for passengers while also improving cost and time efficiencies for aircraft operators. 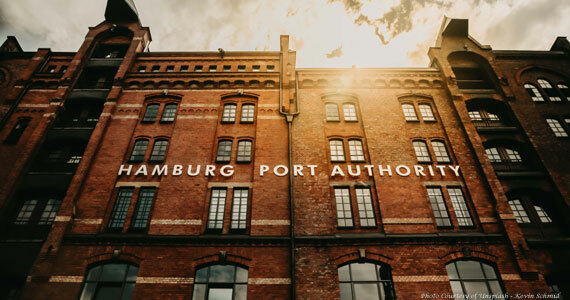 Right now, many of us are getting ready to attend this week’s AIX Hamburg and one of the primary topics of the show will inevitably be connectivity, as it has been for the past 15+ years. However, if you are not an expert in telecommunications and satellite technology, you may well come away from your various interviews more perplexed by the various options and which offering would best suit your airline passengers needs and expectations. At most airlines, the responsibility for IFC tends to be assigned to the team that is responsible for inflight entertainment equipment and content, supported by Engineering. But since the technologies for providing inflight connectivity are relatively new to the airline industry and are primarily based on telecommunications and satellite industry standards, it is not surprising that few airline organizations have the properly trained staff to do the time consuming and detailed analysis required to compare the available options. As a result, airlines can often become frustrated and/or confused when confronted with the myriad of sometimes conflicting data. But it is of course very important that these analyses be accurate and complete, given the large capital and service costs associated with purchase, installation, certification, and operation of IFC systems. Capital, installation, and certification costs alone can sometimes approach $1 Million US dollars per aircraft. As IFC systems improve over time and new applications become available, those systems are capable of serving an increasing variety of airline needs. In order for the airline to select an IFC solution which is best for them, the first step is to develop a detailed Requirements Document. This can be challenging since the capabilities of IFC systems are constantly changing, so it can sometimes be difficult for the airline to even know what to ask for, especially since every airline’s requirements are different. Data Speed and Variance, Latency, jitter, etc. Realizing that airlines require assistance with the IFC selection process, Kros-Wise Aviation Group has assembled a team of highly experienced staff and developed a disciplined process which can cost effectively help the airline ensure that they make the best decisions. In September 2018 they launched a unique new service to help airlines make better and faster decisions on connectivity systems and service. This process is called Connectivity Assist. Utilization of this process can save airlines millions of dollars over the term of their IFC contracts. Kros-Wise is a professional services and product development firm which was founded in 2004 and currently has approximately 150 full-time employees. The company headquarters is in San Diego, California. It is a Women-Owned Small Business (WOSB). Kros-Wise has extensive experience providing support to IT Programs for US Navy and other US Government Organizations, and to aviation and satellite equipment and service providers. The Kros-Wise team is highly experienced in IFE and Connectivity systems, service, installation design and support, and the associated FAA/CAA certification. Kros-Wise employs senior level staff who have extensive experience working with companies across the aviation and IFE-C industries. These companies include: Gogo, Inmarsat, Iridium, Panasonic Avionics, ViaSat, Virgin America, Boeing, Lockheed Martin, US Navy, and United Airlines. Mark Jennings, Chief Operating Officer at Panasonic Avionics Corporation (Panasonic), commented on the acquisition of Newtec by ST Engineering’s subsidiary, Singapore Technologies Engineering (Europe) Ltd, stating, “This investment by ST Engineering is an important milestone for both Panasonic and its customers.” Jennings noted that, “We believe that the combined new business will speed time to market and accelerate the innovation cycles needed to best serve our inflight connectivity customers. In fact, Newtec’s bandwidth efficiency and Ultra High Throughput technologies with iDirect’s seamless global bandwidth and network management capabilities have the potential to be unrivalled in the market. Jennings continued, “Newtec’s modem has played a key role in our global Ku-band high throughput satellite service, and we have an aggressive plan to upgrade all remaining and future aircraft to this technology. We have shared our future development plan with the combined ST Engineering team, and they are ready to meet that schedule. Panasonic Avionics has over 3,600 aircraft committed to its global high throughput satellite service. Today, there are over 2,000 aircraft connected to its Ku-band network. More than 780 aircraft are currently using the Newtec modem, and the company expects to have all currently equipped aircraft upgraded to this technology by the end of 2019. Mythopoeia is delighted to announce that after a successful implementation of Business Class that it has just completed an installation of Air Cloud for Air Greenland economy class cabin. Mythopoeia is again partnering with SR Technics in Zurich to complete the overall delivery of the system from Seat modification, STC package and Installation. 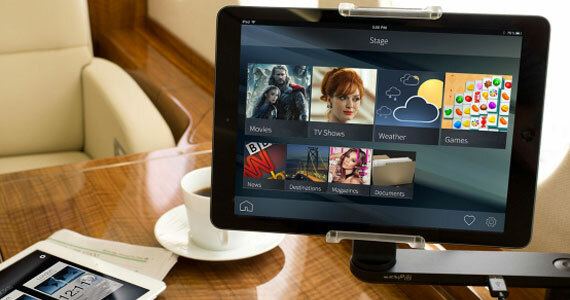 Air Cloud is a low-cost wireless seat back IFE display system. The systems comprise the very latest wireless standards delivering content to the displays. Files are stored locally at the display making the system fully redundant and offering no interruptions to the passengers viewing experience. The Economy class cabin features 18” monitors mounted on bulkheads to display Moving map, company promotional info and safety videos. Air Greenland worked with Mythopoeia to develop a Graphic User Interface that reflects the unique identity and brand of the Airline. Katja Vahl, Sales and Marketing manager worked closely with the team to implement a unique theme including northern lights, Mother of the sea and the flying Angakkoq known as the shaman in the old days. These wonders, myths and characters played a vital part in the daily life of the ancient Greenlanders, who learnt moral code through oral traditions. Today, they are part of the social fabric that ties Greenlandic people together. – The integration has delivered a unique, customised and tailored experience for our customers, said Katja. 2.1 amps of USB power is provided at each display to allow Air Greenland’s customers to charge their PED devices and the system has a fully integrated PSS functionality for reading light and attendant call. Air Cloud displays feature the very latest quad core processing technology. Air Cloud offers a wide range of software features from revenue generating applications, apps as well as Hollywood Movie Content. On another note, Mythopoeia wins tender with Rossiya Airlines to replace Passenger Service Systems (PSS) for 8 X B747 aircraft. Mythopoeia’s solution provides full integration with both ACESS and CSS platforms. A challenge facing operators when transitioning/upgrading wide body aircraft is the need to control the “reading light” and “attendant call” PSS functions delivered by the existing IFE system. The traditional solution requires installation of a dedicated PSS replacement that requires seat and CAM modification at significant cost and no quality of service enhancement. The PSS system provides a unique off seat solution making it convenient to install. Mythopoeia is again partnering with SR Technics to deliver a complete turnkey solution to include STC package & seat modification. 2.1 amps of USB power is provided at each display to allow customers to charge their PED devices. The overall combination of the right product and ease of integration makes it very interesting product and we are happy to cooperate with MHL for this project. AIX: Airbus showcases its latest cabin innovations at this year’s Aircraft Interiors Expo in Hamburg, Germany – the world’s largest event dedicated to the aircraft interiors industry, in-flight entertainment, connectivity and passenger services. At the Airbus stand this year (Hall B5, Stand 5A20), Airbus will display the latest full-scale Airspace cabin mock-ups for the A320 – including its new overhead Airspace XL Bins and full-flat seats for long range comfort; and an A220 cabin mock-up with both business and economy seats – demonstrating how this aircraft offers the leading cabin experience in any small single-aisle aircraft. Moreover, the booth will also feature the ‘Day & Night’ premium concept for the A350 XWB; and there will also be an A320 Upgrade Services mock-up. Virtual Reality Gears will allow visitors to experience all aircraft cabins. Airbus is also leading the field with new innovations in the cabin, notably with our IoT-enabling “Connected Experience”, creating a cabin ecosystem which seamlessly connects cabin elements to provide a personalized passenger experience. In addition, Airbus is providing a glimpse of the future flying experience with our new ‘Cabin Vision 2030’ – inspired by airlines, tech companies and start-ups. At the stand, visitors can also explore what’s new in terms of possible seat innovations for passengers’ comfort and airlines’ differentiation and efficiency. This year Airbus is proud to have been shortlisted twice in the prestigious Crystal Cabin Awards for the following achievements: The “Lower-Deck Passenger Experience Modules”, in cooperation with Safran; and also for the new “X-tend Seat” concept over-wing exit seat for single-aisle aircraft. The Crystal Cabin Awards ceremony is held on the evening of Tuesday 2nd where the winners will be revealed. AIRBUS/EU Counter Measures: Airbus welcomes the report of the WTO Appellate Body, which confirms that the United States failed to withdraw the subsidies granted by federal, state and local authorities to Boeing, and to remove the harm those subsidies caused to Airbus. The Appellate Body has rejected every single United States argument whereas it has taken all EU legal points on board. In addition, the WTO highest court has also qualified a number of additional US federal and state programs as illegal subsidies, and even, as prohibited subsidies as in the case of the Foreign Sales Corporation scheme (FSC), a major win for the EU. The report requests that further compliance steps are necessary from the United States and Boeing. Failure to do so will provide the European Union the possibility to seek countermeasures on imports of US products. 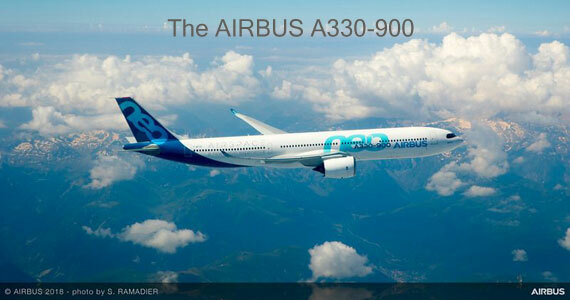 Airbus General Counsel John Harrison stated: “This is a clear victory for the EU and Airbus. It vindicates our position that Boeing, while pointing fingers at Airbus, has not taken any action to comply with its WTO obligations, contrary to Airbus and the EU. With this damaging report, continuing to deny they receive massive illegal subsidies from the United States government is no longer an option. Stated differently, absent settlement, the US will pay – in perpetuity – billions in annual sanctions driven by every single flying Boeing program, while the EU would face, in the worst case, only minor issues. He added: “We hope that these findings will prompt the United States and Boeing to move forward constructively in this long-standing dispute and join us in working towards a fair-trade environment. In the absence of a constructive approach, the EU now has a very strong legal case to move forward to countermeasures.” Airbus thanks the European Commission and the governments of France, Germany, the United Kingdom and Spain for their continuous support throughout the long dispute process. Their longstanding efforts to restore a fair level playing field are now clearly showing results. Evelop Airlines, the Spanish carrier of Barceló Group’s Ávoris travel division, has taken delivery of its first of two A350 XWBs, the world’s most modern and eco-efficient aircraft family. The second aircraft will be delivered in 2020. The A350-900, on lease from Air Lease Corporation, will be based at Madrid Barajas – Adolfo Suárez airport and deployed on long-haul routes to Caribbean destinations. It features a high comfort single class configuration with 432 seats. Passengers will enjoy more personal space, the quietest cabin of any twin-aisle aircraft and the latest generation cabin products, including individual onboard in-flight entertainment. Dunfermline, UK | March 28, 2019– Passengers on board Air Transat flights will soon be able to access free in-flight entertainment delivered by Bluebox Wow thanks to an agreement reached between the airline and Bluebox Aviation Systems. The Bluebox Wow portable wireless streaming platform will be deployed on Air Transat’s fleet in an arrangement designed to meet both seasonal demands on the airline’s fleet and the additional temporary aircraft it brings in to meet that demand – ensuring both flexibility and consistency of IFE services. The deployment, which is awaiting final Transport Canada approvals, will see Bluebox Wow in service on a range of both narrow- and wide-body aircraft, including Airbus A310s, A321ceos, A321neos, and Boeing B737s. Initially, the deployment is expected to include 17 aircraft during the summer 2019 season but will expand to 38 aircraft for the winter season. Bluebox Wow provides wireless content streamed to passenger devices in any aircraft cabin, including up to 1.6 terabytes of film, TV, audio, games and other digital content. With a remarkably low cost of ownership, Bluebox Wow is a stand-alone, portable, lunchbox-sized unit stowed securely in overhead bins. Before we get started, we wanted to give a “tip-o-the-hat” to Jovita Toh at Encore Inflight (Hong Kong) who has developed the engaging orange shirted team of IFE content providers. They were highlighted in her Encore Expose web newsletter (Check it out here Encore Exposé – Feb19), and we wanted to take the opportunity to introduce them to you. We also wanted to highlight to our readers how successful their efforts are using their ‘teamwork’ approach, and perhaps, give you an idea of the value of working together. While not every industry content organization can (or will) use the same techniques, we suspect that the ‘team thinking’ and group planning can be of value, and obviously is, in Encore’s case. By the way, just so you know, Jovita is the lady in today’s rectangle holding a yellow arcade prize! As she notes in the website visual; “Team Spirit conquers all.” Armed with the excitement of a ‘Change In The Air’ theme, the encore team set off on a corporate retreat to be re-acquainted with each other, explore and discuss the mission of the company, and to have a bit of fun. 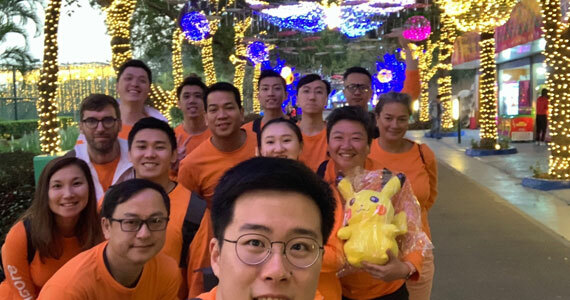 As she notes: “Three nights in Shenzhen with a group of people that have come to be my family, they certainly were Notti Magiche (magical nights).” And yes, I now have an orange T-shirt too! Now, lets get on with this week’s news. 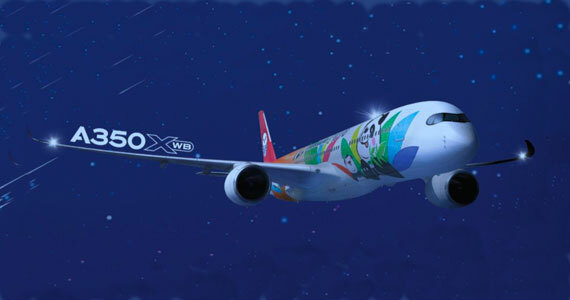 Air Senegal selected SITAONAIR to deploy its best-in-class high-speed inflight connectivity (IFC) on its new-generation A330neo fleet – making Air Senegal the first airline on the African continent to activate GX Aviation passenger connectivity onboard. With a growing demand for connectivity from Africa’s young population and a change in the overarching aviation landscape, Air Senegal’s new inflight connectivity offering comes at a crucial moment for economic growth. SITA Air Transport IT Insights figures show that 90% of the world’s airlines plan to have major wireless inflight connectivity programs in place for enhanced passenger experience by 2021, indicating a prominent shift towards global connectivity as standard. With SITAONAIR’s Internet ONAIR solution over GX Aviation, Air Senegal passengers can access a personalized and seamless inflight connection, keeping them connected with their digital lives, business and loved ones as they fly. In another breakthrough deal for the African market, Mobile ONAIR will give passengers a seamless mobile connectivity experience, providing them with the opportunity to make calls and send texts from the air, just as they would on the ground. Gogo Business Aviation announced that its most robust and highest-performing system – Gogo AVANCE L5 – has been installed and is now flying on 500 business jets. It took just 16 months to achieve the milestone from the date of the first installation – one of the fastest adoption rates of any inflight connectivity system for business aviation. With more than 770 systems shipped to date, AVANCE L5 is Gogo’s most-popular inflight connectivity system, delivering a 4G experience to a wide variety of business aircraft. From the time AVANCE L5 launched in the fourth quarter of 2017, nearly 55,000 flights have taken off with the system onboard. Gogo and its OEM partners and dealers have received certification for AVANCE L5 from the Federal Aviation Administration (FAA) across 79 aircraft models. The system is actively being installed at all MROs and aftermarket OEM service centers. The Gogo AVANCE L5 system connects to the Gogo Biz 4G network delivering faster speeds and enhanced network capacity enabling activities such as live streaming video and audio, video conferencing, on-demand movies, faster web browsing, personal smartphone use, real-time data for cockpit apps, and remote diagnostics and support while in flight. Early in 2018 Gogo launched AVANCE L3, a system that delivers the benefits of the Gogo AVANCE platform to passengers and flight departments in a lightweight, smaller form factor compared to L5. AVANCE L3, which currently has nearly 170 systems installed, allows users to customize their inflight experience based on their unique needs and can be installed on business aircraft of all types and sizes, but is an ideal solution for smaller aircraft including turboprops and light jets. FlightPath3D announced that they have been selected by over 50 airlines in just five years and they are one of the fastest growing airline app companies. They deliver their award-winning 3D Moving Map on any IFE platform and to any passenger device, empowering the digital traveler to explore destinations and travel globally like a local. Airbus opened its 2019 activity with 39 aircraft deliveries for 27 customers during January, raising the overall total of jetliners provided by the manufacturer to 11,802. The month’s deliveries involved 33 aircraft from Airbus’ single-aisle A320 Family, along with five A350-900s and one A330 from its widebody product lines. Notable delivery milestones during January included the initial A321neo aircraft to U.S.-based American Airlines (which has 100 on order) and to Cebu Pacific (the largest low-cost carrier in the Philippines). Also in January, Acropolis Aviation of the UK received Airbus’ first ACJ320neo, with this corporate jet version to undergo its cabin outfitting in Switzerland. Airbus’ backlog of aircraft remaining to be delivered as of 31 January stood at 7,525 aircraft. Air Race E – Airbus has announced a global partnership with Air Race E, the world’s first electric airplane race set to launch its inaugural series in 2020. Airbus is the Official Founding Partner of Air Race E. The competition aims to drive the development and adoption of cleaner, faster, and more technologically advanced electric engines that can be applied to urban air mobility vehicles and, eventually, commercial aircraft. Air Race E will follow a format similar to the popular Air Race 1 series of the sport known as formula one air racing. Eight electric-powered airplanes will race directly against each other on a tight 5-km circuit, just 10 meters above the ground, and at speeds faster than any land-based motorsport. Airbus will work alongside other Air Race E partners, including the University of Nottingham. The University is currently developing a prototype race airplane powered by an integrated electric motor, battery, and power electronics system. The plane will help shape the model and rules for the inaugural Air Race E race in 2020. Aero India – From flying and static displays of its best-in-class products to showcasing its cutting-edge aerospace services, Airbus has planned one of its biggest-ever participation at Aero India to be held in Bengaluru from 20 to 24 February, 2019. The centrepiece of the flying displays will be the A330neo – the latest addition to the leading Airbus widebody family featuring advanced materials, new optimized wings, composite sharklets and highly efficient engines that together deliver 25% reduced fuel burn and CO2 emissions. Demonstration flights will be performed by the new generation tactical airlifter C295 which can perform multi-role operations under all weather conditions. Boeing projects the Middle East will require $745 billion in aviation services through 2037 to keep pace with growing passenger and freight traffic in the region, according to a new report released today at MRO Middle East in Dubai. The high value services market is largely driven by the demand for nearly 3,000 new commercial airplanes in the Middle East over the next twenty years, more than tripling the existing fleet. The growing fleet requires aviation services, including supply chain support (parts and parts logistics), maintenance and engineering services, and aircraft modification. 1. The Middle East will drive more than 8 percent of global demand for aviation services, representing $745 billion, and growing at a projected 4.6 percent annually. 2. Nearly 218,000 new personnel – 60,000 pilots, 63,000 technicians, and 95,000 cabin crew – will be needed in the Middle East over the next 20 years. Uzbekistan Airways – Boeing reached an agreement with Uzbekistan Airways to provide services that will enable the airline to more efficiently and effectively maintain its 787-8 Dreamliner fleet through the Boeing Landing Gear Exchange program. The flag carrier of the Republic of Uzbekistan will rely on Boeing to support its fleet with quick and reliable landing gear exchanges when and where they need them. This program greatly reduces maintenance time, helps the airline quickly return airplanes to service, and enables the airline to focus its resources on core operations. Boeing’s 787 Landing Gear Exchange program provides a simple and economical solution for managing landing gear overhauls, while building on Boeing’s successful history of exchange programs. Through the offering, a carrier can exchange landing gears that need to be repaired or overhauled for another set of certified landing gear from a pool that Boeing maintains. This service eliminates the need for operators to contract, schedule and manage the overhaul process. Heard of IEEE abrogated Extended Intelligence? It is not artificial intelligence: “it is more important to design systems that participate as responsible, aware and robust elements of even more complex systems.” CXI – Council on Extended Intelligence | IEEE-SA & MIT Media Lab And, Good Luck! BOSE, Panasonic, Inmarsat and More! The one airplane mode that you should be aware of is the ability of your headphones/earphones to physically plug into the aircraft audio system jack. This permits you to not only listen to your devices, it allows the listening of the aircraft audio system as well. 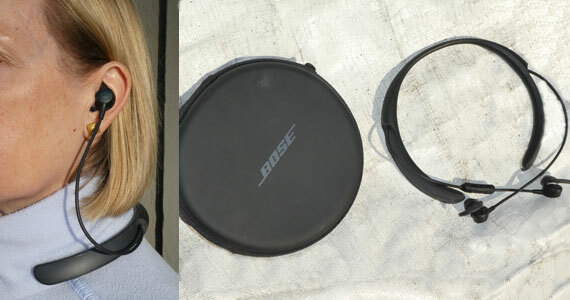 However, if you want to listen to both, you can bring along you BOSE QC 35 Headphones or the BOSE QC 20 Earphone. And if you just want to listen to your device’s music on Bluetooth, you can use either the BOSE QC 35 or the BOSE QuietComfort 20 earphones or the BOSE QuietControl 30 earphones (neckband) wireless device, and that is the unit we want to discuss today. First, if you are not into wires and cabling to your devices, then a Bluetooth solution is for you. We have tested this device on a plane, inside the house while working, and outside while car cleaning and the QC 30 is a dream. As we said, two features stand out: no wires and an adjustable outside noise control. This feature is really of value if you need to hear external noise or even voices. The value of not removing you earphones is obvious – when you are in public adjustable external audio control is a real advantage. And no, we did not use them while driving! All the BOSE audio earphones and headphones have excellent audio capability and we wanted to note one other thing. With the terrific audio reproduction, it is easy to focus on the sound reproduction and the “new” high and low sounds in your existing music. So much so that while recently waxing our car, the job was not seemingly as long or that repetitive. We guess that while improved listening is very pleasant, it keeps your mind off work and interruption. You can also control how much of the external environment you want to hear and with no wires below the neckband, you don’t tangle your hands or tools in them. Never again will a car be waxed here without the BOSE QC 30 earphones! The unit does feature a 10 hour battery and noise reduction and great audio were working fine after the 6 hours we tested them. We think if you like to walk, the adjustable noise cancellation is of great value. While where we live auto traffic is limited, in general, cars are a safety problem and adjustable external volume/noise cancellation can be of great value while walking down a road. Actually, it is a safety issue too. The QC 30’s have a precise arrangement of microphones inside and outside the earbuds to continuously measure external noise. The system produces an equal and opposite noise signal to cancel it. Also, the new seal tips are very comfortable and really limit outside noise – the noise cancellation is adjusted by the user and external hearing adjustment if really obvious. We should also note that the software app easily loaded on our phone and it worked perfectly with the earphones. And the “voice” of the assistant really helps the installation and use process. The Bose QC 30 is a great product if you don’t want wires and desire to listen to something transmitted around you (like a flight crew announcement), yet listen to your music while reducing the amount of outside noise, this is the way to go. Further, if you move or exercise while using them you can still hear others in the gym. But more importantly, our walking has increased and we can hear cars and external noise. We look forward to using them on our upcoming trips! TRT World has teamed up with Panasonic Avionics, the worldwide leader in inflight entertainment and connectivity, to launch in-flight broadcasting. The service is being broadcast via satellite to specially-equipped aircraft. TRT World, the international news platform launched in 2015 and headquartered in Istanbul, offers an alternative viewpoint on global and domestic events, challenging perceived narratives and providing a new perspective on news. With this agreement with Panasonic, TRT World will extend its reach to passengers on airlines around the world. 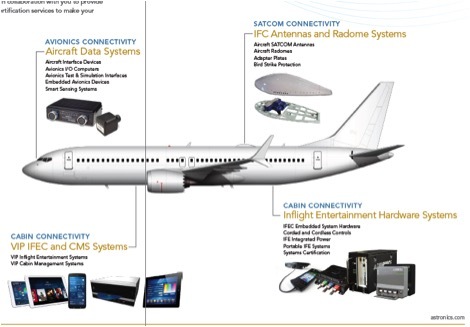 Panasonic Avionics Corporation (Panasonic), the world leader in inflight entertainment and connectivity (IFEC) provides in-flight connectivity and infotainment content for over 80 connectivity customers around the world. This partnership enables Panasonic to extend TRT World’s live broadcast to many of the world’s leading international carriers, including Turkish Airlines. Julie Lichty, Head of Digital Solutions and Services at Panasonic Avionics said, “Panasonic is proud to offer the world’s only truly global inflight live television services. Whether it’s the best in current affairs, sports and entertainment from a selection of the world’s premier media brands, our mission is to keep passengers informed and entertained with quality programming. We believe that TRT World is a significant enhancement to our portfolio, and will be a tremendous enhancement to our airline customers’ passenger experience”. Inmarsat has expanded its global network of Value Added Resellers (VARs) for its GX Aviation inflight broadband solution with the addition of Honeywell Aerospace. The agreement builds on Inmarsat’s long-standing partnership with Honeywell, who already manufactures the JetWave hardware for GX Aviation and sells Inmarsat’s Jet ConneX inflight wi-fi service for the business aviation market, through its GoDirect retail services business. In addition, it is further endorsement of Inmarsat’s commitment to operate the reference inflight connectivity network for airlines around the world. GX Aviation is the world’s first and only global, high-speed inflight broadband service, delivered through a wholly-owned and operated network of Global Xpress (GX) High-Throughput Satellites (HTS). This award-winning solution allows passengers to seamlessly browse the internet, stream videos, check social media and more during flights, with onboard connectivity comparable to the mobile broadband services they receive on the ground. As part of the agreement, Honeywell will now market GX Aviation to airlines worldwide through its rapidly growing GoDirect retail services business. This increases the company’s focus on end users, allowing it to tailor smart connectivity solutions directly to individual customers – whether in the airline or business aviation space. It addition, Honeywell will continue to manufacture and sell the JetWave hardware to airline and business aviation customers. Spafax’s innovative Business Traveller TV has been awarded for “Best Native/Sponsored Content” at the prestigious Drum B2B Brave Awards 2018 in New York recently. Congrats Spafax! Aerospace and electronics industry executive, Ariel Abam, has been appointed Vice President, Procurement, Manufacturing and Quality at digEcor. Ariel brings more than 25 years’ progressive experience managing medium to large manufacturing enterprises. Also, digEcor is teaming with Jade in Singapore for aircraft retrofit of their cabin technology products for Asia. Safran and Boeing got regulatory approvals a joint venture to build APU’s for aircraft, presently in San Diego CA. Morgon Stanley put out a minor review of the Lion Air incident and in it, they said: “Ultimately, in our opinion, discovering the root cause will matter most for the stock and preliminary findings are expected to be released in late November, according to media reports. We believe that in a worst case scenario, Boeing could be forced to ground all 737 MAXs in order to rectify the issue, thus could impact deliveries in the near term. However, we believe this should not pose a material threat to EPS / FCF in the long-term.” Stay Tuned on this one! Think we live in bad times? Guess again – and then checkout an actual measurement chart: The Industrial Revolution was the most important event in history – Vox Now you have the big picture and what are you going to do about it? Trying to learn about Artificial Intelligence? How about listening to conversations with AI experts produced by Argo Design. Its called Voices in AI (Gigacom). There are 73 discussions with experts online and they are great – words and text available. If you want to hear about the science from experts, start there. Denver’s Devil Horse welcomes all – and sees you with red eyes! Despite criticism, Denver airport’s ‘Devil Horse’ sculpture likely to stay. Lastly, we did not catch a typo in last week’s edition. Potable should have been Portable! Our apologies to the BoardConnect folks!! Panasonic and Inmarsat announced a strategic partnership to expand their relationship of inflight connectivity at Ku and Ka bands. This collaboration has the potential to offer a better inflight connectivity solution worldwide because of the existing fixed satcom installations at some 22,300 feet. Watch this relationship as it unfolds.We understand that the deal will be finalized by the end of October. Another “big deal” is the clever acquisition of Rockwell Collins Paves IFE hardware, software, manufacturing, and manpower solution by digEcor. While the official announcement will be made later, almost everyone we saw had the story. The acquisition is a brilliant growth path for digEcor. Interestingly, Paul Margis and Gene Connelly were in the picture and no doubt were fans of a wider product base offerings. With some 1400 (est.) planes installed with Paves, digEcor is off and running with a full range of IFE, not to mention some items of which are line fit offerable at both Boeing and Airbus! Astronics displayed a wide range of products including their IFE solutions. Included was an overhead bin sensor that will advise if passengers (or crew) left an object behind. This product can detect the bin environment including temperature, humidity, chemicals, as well as carry-ons left behind. Another potential product that we really liked was a light connectivity (LiFi) cabin solution displayed by Mark Schwartz of PDT. Their test displayed a video (high res) with no wired connection. More on this in future articles. You will be able to see a lot more of the show on our website in the form of images in the coming weeks, as well as, finer tuned and more detailed articles on the expo. 1. In general, the IFE industry is developing smaller, lighter weight modular systems. A perfect example of this is the Panasonic NEXT System which is planned for the B777X in 2020. They cleverly built a room wall with the hardware laid out with connection paths so that the system and its options were easily understood – great communication concept. 2. One of the big aviation travel features is connectivity and passengers continue to demand contact with the ground. Further, since so many of today’s PEDs have entertainment capability, inflight bandwidth demand is escalating! 3. Analytics of everything on the plane is increasing and data requirements are growing to help improve plane/ground connectivity. 4. Panasonic is breaking some new ground in the application of improved passenger flight experience and wellness. This will be a big deal in future travel, especially in upper classes. To give you an idea of one of the areas impacted, entertainment hearing improvement was demonstrated with the software on an iPad that adjusted frequency response based on a traveler’s entered age. It was amazing! 6.The connectivity industry is now in a waiting pattern to see if LEO satcom technology will come on line as purported. Obviously, bandwidth requirements are growing and since the satcom density is greater with LEO’s, the ability of more bandwidth is there. Watch this one! 7. People are returning to the IFE industry and a good example, is Mythopoeia. The company is making a new IFE solution and it’s leader is Terrence Bonar! 8. Artificial Intelligence has landed in inflight entertainment and many airlines now use companies like Black Swan Data to better connect passengers from flight-to-flight and use algorithms to load products and prices. 9. No doubt you have heard, but people changes seem to be a big part of the industry this year. Stay Tuned on this one. 10. KID Systems has the slickest seatback USB plug – It just slides/snaps in and has no external power wires! We will have pix for you soon. And yes, there was much more to see, which we will cover in future editions of IFExpress! As usual APEX started of the week-long event with a Welcome & Introduction seminar, what was unique about this year’s opening was there were 6 C Level airline executives present that addressed their airline’s focus for the next 12 months. Their topics ranged from how to utilize personalization, the implementation of bio-metrics, and improving connectivity. Below are the highlights from each airline representatives’ presentation. The first to speak was American Airlines CEO Doug Parker, who focused on the airline’s transformation since the acquisition of US Airways in 2013. Mr. Parker stated that they have invested over $26 billion in the process of which $19 billion has gone to the acquisition of 500 new jetliners. He stated there is a night to day difference in their onboard offering over the past 5 years. An example is they no longer have an inseat IFE offering onboard their 737 MAX. Instead, they feature 12 channels of live television, as well as, paid for Wi-Fi streaming to PEDs. He also stated that premium economy will soon be available on all of American Airlines international fleet and that it has been well received and is in high demand on those aircraft that it has been installed on. Stephen Kavanagh, CEO & executive director of Aer Lingus was the next to address the APEX throng. He stated that starting in 2019 the airline was going to refresh their brand. This will encompass free 20 MB of free Wi-Fi for economy class service. A new livery and new flight crew uniforms are included in the package. The refresh will be included on 12 new A321neo long-range jets. The updated image will reflect Aer Lingus’ modern outlook, as well as, their desire to be the leading value carrier across the Atlantic. The airline is also focusing on making changes based on Net Promoter Score (NPS) and are targeting to be in the 40 – 50 point range across all business categories. Examples of areas that have greatly improved their NPS yield are improved quality in their audio headsets and investing in better IFE screens – improvements that transformed their onboard passenger experience, bumping their NPS up significantly. Passenger service improvements were the focus of Aeromexico’s CEO Andres Conesa. Mr. Conesa stated that it was irrelevant if you offered great inflight service, IFEC, or wonderful seats unless your flight departed on time. He stated that the most important thing is consistency and the way that Aeromexico is aiming to achieve this is through branded fares that allow the passenger to tailor their ticket to exactly what they want, as well as, standardizing their fleet from 7 different aircraft models down to 3 has also facilitated their plan. Presently, whether it is an international short, medium or long-haul flight passengers will have access to connectivity, IFE, free food and drink. LATAM Airlines Group also considered NPS. Their NPS indicated that passengers were most concerned about the cabin experience. Consequently, the airline plans to invest $400 million over the next 3 years to retrofit the cabins on 67% of their fleet. Claudia Sender, CEO of LATAM Brasil and VP of Customers for LATAM Airlines Group said that the program will commence in January of 2019. The airline will be revamping the passenger experience in an effort to provide a more relaxing space. Simultaneously, LATAM will be expanding its route network through their joint venture with the IAG Group and American Airlines. Calin Rovinescu, president and CEO of Air Canada, addressed the rebrand that Air Canada is currently undergoing. Having recently launched Rouge, the airline’s leisure brand, they wanted to make certain that Air Canada was distinguished as their mainline brand maintained its role as a leading brand globally. The first step towards maintaining this clarification between product offerings was the launch of a new livery for Air Canada – a black tail with the return of the red maple leaf. New food and beverage offerings, new uniforms and the rebranding of their premium product are part of the program as well. All of this sounds fairly normal until Mr. Rovinescu started discussing the 5-star restaurant and BMW limousine service for their full-fare international business class passengers at Air Canada’s Toronto hub! Mr. Rovinescu was also the recipient of the APEX Life Time Achievement Award. Spirit Airlines CEO, Robert Fornaro spoke during one of the educational tracks dubbed Invest in The Guest: Utilization of Technology to Enhance PaxEx. During the breakout session Mr. Fornaro looked back to the early days of the leisure carrier, stating that what they had to offer the traveler was low prices and that was about it. When Fornaro took the helm he airline wanted to “invest in the guest” but didn’t want to select any connectivity offering, he wanted a solution that would fit Spirit’s business model. This led Spirit to be the launch customer for Thales’ FlytLIVE high throughput Ka-band satellite service. The system not only provides streaming capabilities, but the platform allows access to a large amount of analytics which facilitate ancillary revenue generation, understand the passenger, develop their value proposition, and truly fine tune their passengers experience. Panasonic Avionics Corporation (Panasonic) has appointed Gaston Sandoval, as Global Head of Marketing and Product Management. 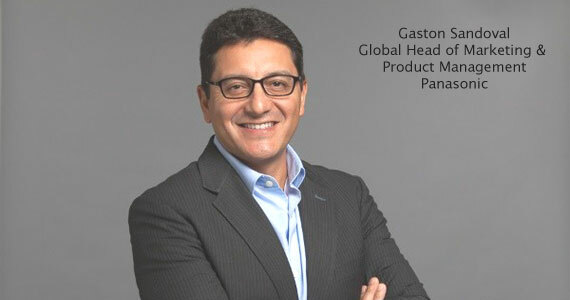 In this role, Gaston will lead Panasonic’s marketing and product strategy as the company evolves into a digital platform and services company and delivers the next generation of passenger experiences. Thales has appointed Philippe Carette as Chief Executive Officer to lead the InFlyt Experience business. The business is a leading provider of cutting-edge technologies that entertain, connect and inspire more than 1 million passengers airline across 70 airlines each day around the globe. Mr. Carette will drive the company’s strategic corporate transformation initiatives within the business to spur greater competitiveness and long-term market leadership. He will also steer the digitalization of the connectivity and entertainment systems portfolio to deliver unique value to airline customers in a rapidly evolving cabin environment. This includes the recently introduced InFlyt360 digital platform, which allows airlines to continuously improve the passenger experience with features such as personalization, monetization, fresh and dynamic content and optimized engagement. 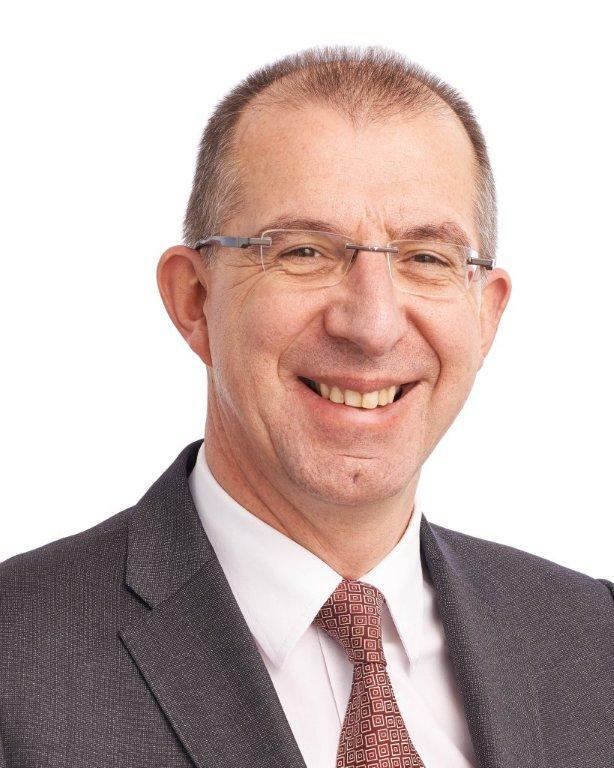 Mr. Carette replaces Dominique Giannoni who managed the successful growth of Thales InFlyt Experience during the past 5 years and now takes on a new leadership role within Thales. Mr. Carette has spent more than 30 years in the aviation industry and previously held several leadership positions within Thales, to include the head of the Electrical Systems business and vice president and managing director of the Commercial Avionics unit. Prior to joining Thales, he was president of German aerospace connectivity systems provider, Deutsch Aerospace & Transportation – TE Connectivity; managing director at European engineering consultancy leader ALTEN; president and managing director at Sogeti High Tech, a wholly-owned subsidiary of Cap Gemini; and managing director at Safran Group for Engineering Services and Electrical Systems. He holds a degree in engineering from the Institut polytechnique de Grenoble in France. Astronics Corporation announced that its wholly owned subsidiary, Astronics PGA, was awarded a contract to provide its next-generation seat motion and lighting systems for Jamco’s new Venture seat program. Astronics PGA also entered into a long-term contract for potential future seat projects. The event, which is co-located with APEX and IFSA, is the world’s largest fall event dedicated to the passengers experience, and it is the place to see all of the innovations that passengers can expect to see on their future flights under one roof. Each year the event attracts thousands of visitors and almost 300 buyers from the world’s leading airlines who attend to source the interiors for their new or existing aircraft – from first and business class seating, to Inflight Entertainment and airline food – the event is a one-stop shop. Exhibiting companies include Acro Aircraft Seating, Boeing, Diehl Aviation, E Leather, gategroup, Panasonic Avionics, STS Aviation Group, San Diego Aircraft interiors, and Tapis Corporation. See you there! Brisbane Airport, the premier gateway to Queensland and the third busiest airport in Australia, has again selected SITA as its technology partner as the airport continues its growth and transformation plans. The new agreement will see SITA develop and extend the technology it provides for passenger, baggage and airport services to support Brisbane Airport’s commitment to service. The five-year agreement continues the airport’s close partnership with SITA which has successfully been in place for more than 20 years. Today, Brisbane Airport operates 24 hours a day, seven days a week and SITA provides world-class technology with round-the-clock service support. This includes SITA AirportConnect® Open, its common-use platform and self-service bag drop and check-in, which ensure that Brisbane Airport runs smoothly for the 32 airlines that use the airport to fly to 81 domestic and international destinations. The first Ultra Long Range Airbus A350 XWB to be delivered to launch customer Singapore Airlines has rolled out of the paint shop in the carrier’s distinctive livery. Now at an advanced stage of production, the aircraft will undergo further testing before being delivered to the airline in the coming months. Singapore Airlines has ordered seven A350-900 Ultra Long Range aircraft, and all of them are in various stages of assembly. The first aircraft to have flown has successfully completed its flight test program, which focused on the redesigned fuel system. It is now being fitted with its cabin. The Ultra Long Range A350-900 is the latest variant of the best-selling A350 XWB Family, and will have an extended range of up to 9,700 nautical miles. This has been achieved by a modified fuel system, which increases the aircraft’s fuel carrying capacity by 24,000 liters without the need for additional fuel tanks. The A350 XWB is an all new family of widebody long-haul airliners shaping the future of air travel. The A350 XWB features the latest aerodynamic design, carbon fiber fuselage and wings, plus new fuel-efficient Rolls-Royce engines. Together, these latest technologies translate into unrivaled levels of operational efficiency, with a 25 percent reduction in fuel burn and emissions, and significantly lower maintenance costs. Almost four in ten commercial aircraft, globally, will be equipped to provide passengers with in-flight Wi-Fi by the end of 2018, that’s according to the market intelligence company’s latest analysis of the in-flight connectivity (IFC) market. The number of airlines rolling out IFC has continued to rise, with Valour´s quarterly tracker indicating there are 90 carriers offering passenger Wi-Fi at the end of March 2018. There is little to suggest a slowdown is on the horizon, with service providers boasting sizeable backlogs and notable announcements expected from airlines in China and India going into 2019. Valour Consultancy anticipates the number of aircraft with IFC will reach almost 21,000 by the end of 2026, up from approximately 7,500 today. Valour Consultancy is a provider of high-quality market intelligence. Its latest report “The Future of In-Flight Connectivity” is now in its third edition and is widely-regarded as the most comprehensive resource on this subject, underpinned by the depth of its firmly-established quarterly IFC tracker database. The report features 150 tables and charts accompanied by extensive commentary on the latest market issues, technology trends and the competitive environment. Check here for a full table of contents and report scope. Boeing has raised the monthly B737 production from 47 to 52 as they announced – watch for 57 per month in 2019! Dunfermline, UK | June 28, 2018– On 1 August 2018, Caribbean Airlines (CAL) will deploy Bluebox Aviation Systems’ portable wireless streaming platform, Bluebox Wow, on its Boeing B737-800 fleet for routes across the Caribbean and North and South America. Bluebox Wow will enhance Caribbean Airlines’ in-flight service by delivering ‘Caribbean View’ – a free in-flight entertainment service streamed to passengers’ own devices. Content will include blockbuster movies, television programmes, games, magazines and other Caribbean content. A new on-board entertainment platform becomes available to passengers flying with their mobile phones on the UK’s largest airline. The platform developed by a Barcelona company offers users the opportunity to access content, offers and digital services in five languages for free via high speed streaming. Barcelona | November 30, 2017–The innovative onboard entertainment and services platform “Air Time” takes off today on board the first five easyJet aircraft to be equipped with the service developed by Immfly, in line with the agreement announced in September between the two companies. In the initial phase, the platform will be available on select services covering over 90 destinations, including international capitals such as London, Manchester, Amsterdam, Tel Aviv, Lisbon, Rome and Madrid and many others, with Geneva and Basel as the main hubs. The digital platform created by the Barcelona company, Immfly, one of the most pioneering in the industry, provides passengers of Europe’s leading airline with the opportunity to access a unique entertainment and services experience during their flight. Passengers will be able to enjoy personalised options on their own smart devices (smartphones, tablets and laptops), in a way which does away with the need for the older model of seat back screens. The high-performance digital platform “Air Time”, available in five languages (English, Spanish, French, Italian and German), offers great flexibility thanks to its dynamic and wide-ranging digital functionalities and content designed to engage customers inflight. Rakuten, a global leader in Internet services with more than one billion members worldwide and an ecosystem of more than 70 services, will be the official sponsor of the easyJet onboard entertainment platform integrated by Immfly. In its collaboration with easyJet, Immfly is helping deliver another step in the path to total connectivity as part of its pioneering strategy focused on enabling a 360º relationship with customers connected for interaction during their entire journey. “Air Time” opens new and exciting opportunities in the European flight market. Customers can enjoy premium content provided by the official entertainment sponsor, Rakuten, who are also the global innovation and entertainment partner of FC Barcelona. The high-quality content is curated from top-tier brands, including FOX Non Theatrical, Euronews and other media companies that are favourites among the British and European public. Some of the titles available on “Air Time” in the Entertainment section include critically acclaimed television content, such as the series Legion and the comedy show Modern Family, as well as hit films like The Revenant, popular children’s programmes and a wide range of press publications including; Financial Times, Bloomberg, Le Figaro, Euronews, The Times, and other daily international newspapers, plus lifestyle publications such as; Elle, Rolling Stone, National Geographic Traveller and many more. “Air Time” also offers a pioneering inflight service with on-board language lessons available on the platform and developed in partnership with uTalk. This makes it possible for customers to learn and practice more than 80 languages during their flight. Passengers can also choose from a wide selection of best-selling e-books and audio books, destination guides, games and much more. The platform also includes a digital catalogue “Bistro & Boutique” that features meals, snacks and refreshments customers can enjoy during the flight while it also showcases the selection of on-board shopping products available inflight from fragrances and cosmetics to gadgets and toys. “Air Time” also provides practical information about the flight and an interactive 3D map of the route in the “Flight Info” section, as well as information on local weather conditions and forecasts provided by the “The Weather Network”, and information about easyjet’s UNICEF campaign. The vast majority of passengers travel with at least a smartphone, a tablet or a laptop which is why Immfly’s paltform is relevant to anyone wishing to enjoy all this entertainment content from their personal, portable electronic devices inflight. Access is possible through Wi-Fi points installed on the airplanes which allow all passengers to access the content at very high speed. No reliance on external connections enables a faster connection speed than what is currently available in most people’s homes. Immfly is leading the development of on-board digital platforms in Europe as a tool to boost the revenues of airlines by proposing to increase their “Net Promoter Score”, generating greater customer loyalty and creating additional sources of ancillary income with on board digital services, commerce and sponsorship. 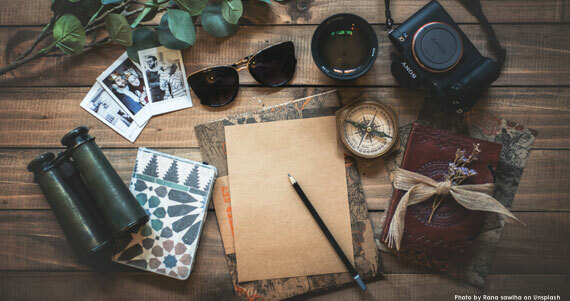 Immfly also provides services enabling passengers to purchase leisure products and services available at their destination before landing and to purchase entertainment packs whilst booking their flights online. Andrew Middleton, easyJet’s Ancillary Revenue Director commented: “‘Air Time’ will allow us for the first time to offer customers in-flight entertainment in a way that replicates how they consume their media at home. We are delighted to be collaborating with other innovative partners, such as Rakuten who will help us curate engaging content, and Immfly who are providing the unique easyJet portal with a dedicated customer support team, ensuring that easyJet crew are able to continue conducting an excellent standard of safety-focused service and on-board hospitality.”. Arjen Van de Vall, President Rakuten Europe commented: “We are confident Rakuten can bring strong value and create a high quality showcase of its services through the on-board Immfly platform offering a best in class user experience” . Immfly, a leading provider of online sales and communications services in Europe, expects to reach 100 million connected passengers in 2018 after its agreements with airlines including Iberia Express, Volotea, XL Airways and now easyJet. APEX and News, of course! Norbert Müller, previously Head of BoardConnect at Lufthansa Systems, has taken on a new role as Head of the Americas region at Lufthansa Systems as of October 1, 2017. The LS folks said that he is pleased to hand over the baton to his successor Jan-Peter Gänse, who has so far been responsible for certifications and strategically important projects in the area of BoardConnect. “I am pleased to be able to take on this task from a highly esteemed colleague and industry expert who has accompanied me over the past few years in my previous area of responsibility. My goal is to further expand the already established and successful path with our product line BoardConnect. 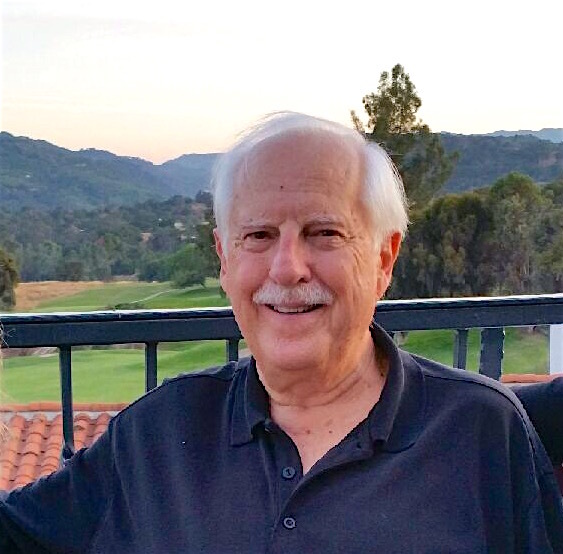 With currently 12 customers, we are on the right track.” And while in Long Beach, we met the affable Jan-Peter and we really enjoyed visiting with him – and we are certain you will too! From a hardware/services perspective, the company announced the following relationship during APEX. A completely new approach to content services provisioning characterizes the BoardConnect Media Services offered by Lufthansa Systems in collaboration with Touch Inflight Solutions Inc. (Touch). Since the two companies began cooperating closely just over a year ago, their product has been successfully installed on more than 100 aircraft of commercial airlines – including Eurowings, Austrian Airlines and Azul Linhas Aereas. During APEX EXPO Telefonix PDT was selected by Gogo to develop the next generation Air-to-Ground Modem Controller Unit. Here is some additional information from Telefonix PDT on the product. The AMCU product is an evolution of the currently fielded Airborne Controller Processor Unit 2 (ACPU2), which allows seamless enablement of Gogo’s next generation ATG service while maintaining installed electronics footprint. Gogo’s next generation ATG network is slated for North American availability in 2018. The AMCU incorporates a proprietary modem that utilizes LTE technology in the unlicensed 2.4GHz band. This system is designed to provide peak speeds of more than 100Mbps. The AMCU is a continuation of the work the Telefonix PDT team has been doing during its long-standing development partnership with Gogo. The AMCU is the latest product to be developed by Telefonix PDT and has grown out of the insights and technological advancements from partnerships such as Gogo. The AMCU features a modular design for its key components, enhancing the serviceability of the LRU, while also providing a future pathway for upgrading those components. To fully enable Gogo’s new network, the AMCU is designed to deliver advanced processing capabilities, with a modern quad core Intel Xeon processor. The AMCU supports both ARINC 429 and ARINC 717 data bus interfaces, a managed multi-port Gigabit Ethernet switch, avionic discretes, an 802.11g/a/n/ac Wi-Fi client, 4G/LTE Terrestrial modem, and an extended onboard multi-Terabyte SSD storage capability, all packaged in an ARINC 600, 6 MCU chassis. The cornerstone of the AMCU is Gogo’s innovative ATG modem; the AMCU chassis will manage and provide for the modem’s unique mechanical, electrical and thermal requirements. Gogo’s awarding of the AMCU program underlines the faith Gogo has placed in the Telefonix PDT team to continue innovating the next generation of ATG services. “The Telefonix PDT team values its long-standing relationship with Gogo and is proud to have been selected for the AMCU program,” says Michael Kuehn, President of Telefonix, Inc. “Our team is committed to working side by side with the Gogo development team in delivering a best-in-class modem solution for Gogo’s ATG network and meeting the expectations of Gogo’s customers going forward.” The Telefonix PDT development team is on schedule to meet Gogo’s development and installation schedule, with planning underway for DO-160G qualification, with a final delivery expected in Q2 in 2018. PANASONIC AVIONICS-Mexico City-based Interjet has selected Panasonic Avionics Corporation’s (Panasonic) innovative inflight entertainment (IFE) system and Wi-Fi connectivity service for its fleet of Airbus A320 and A321 aircraft. The initial aircraft will be delivered from Airbus in November 2017, and this A321 NEO aircraft will be the first Panasonic-equipped aircraft to be line fit with connectivity by the OEM. Headquartered in Mexico City, Interjet serves over 11 million passengers each year with routes in Mexico as well as the United States, Canada and Central and South America providing air service to 54 destinations in eight countries. It operates a fleet of 76 aircraft and has revenue of more than 1 billion dollars per year. With Panasonic, Interjet will be able to offer a premium, connected entertainment experience across international markets and one of the most extensive domestic route structures available from Airlines in the region. Panasonic’s connectivity service will let passengers surf the web, send email, and use their favorite social media apps like Instagram, WhatsApp, and more over inflight broadband Wi-Fi. eXO is one of the industry’s most innovative overhead solutions. It features Panasonic’s new large-format 12-inch 1080p retractable overhead monitors, and gives Interjet a path to deliver wireless streaming to passenger devices in the future. It creates a theater like experience allowing passengers to view high definition video content on large-format overhead screens. Gogo announced it completed 110 installations of its industry leading 2Ku inflight connectivity solution in the third quarter of 2017. The company had a total of 340 2Ku installed aircraft as of Sept. 30, 2017. “Our rapid deployment of 2Ku is transforming global aviation. Based on our pace of installs since Labor Day, we are well positioned to nearly double the number of 2Ku installations in the fourth quarter as compared to the third quarter,” said John Wade, Gogo’s executive vice president and COO. “We are delivering the most bandwidth, the broadest global coverage and highest system availability for aviation.” Gogo will have approximately 600 total 2Ku aircraft online across 10 airlines by the end of this year. The company has shortened installation times to less than two days, which is less than half the time that it typically takes to install a broadband satellite connectivity solution. Astronics, a leading supplier of advanced technologies and products to the global aerospace, defense and semiconductor industries, through its wholly-owned subsidiary Astronics Max-Viz, announced that more than 2,500 of its Enhanced Vision Systems (EVS) have now been installed in rotary- and fixed-wing aircraft. BOEING delivered 78 aircraft in September vs 72 in Sept 2016. It has delivered 554 aircraft over first three quarters of 2017 vs 563 a year ago. And if you were wondering why the US came down so hard on Canadian Bombardier’s C Series aircraft dumping, you really must read the Danny Lam article in Aviation Week – China is the issue! Lastly, if you didn’t have the opportunity to attend APEX in Long Beach or you were simply too busy to walk the expo floor be certain to check out our flickr link in the upper right hand column! Its Summer and It’s Sorta Quiet! With vacations and pre-show quietness, our IFExpress search and discovery for news and industry input is lightweight this week; however there are some stories that we found so lets get started with a couple of news pieces from Rockwell Collins – and no, we have no more on a potential UTC buyout. The company will showcase business aviation solutions for the Latin American market, including flight deck, connectivity, cabin and service solutions at the 15th Annual Latin American Business Aviation Conference & Expo, from Aug. 15-17. Astronics Corporation , a leading supplier of advanced technologies and products to the global aerospace, defense and semiconductor industries, announced today that its wholly-owned subsidiary, Astronics PECO, was awarded a contract to provide its next-generation fuel tank access doors (FTAD) for the new family of long-range Boeing 777X aircraft. In addition, Astronics PECO received a follow-on award for its FTAD product for the Boeing 787 Dreamliner. The new 787 and 777X fuel tank access doors will utilize the latest in fuel tank door structural materials and designs for carbon fiber composite wing technologies. The doors will be manufactured by Astronics PECO in Clackamas, Oregon. These awards are in addition to a previous award in which Astronics PECO was selected to provide passenger service units (PSUs) for the 777X. Lanseria International Airport is investing in SITA’s self-service technology that will add new convenience for passengers while providing improved common-use functionality for airlines. Using SITA’s self-service systems, passengers will now be able to quickly check-in and drop their bags before proceeding directly to the gate without having to visit a traditional check-in counter. In a first for a South African airport, passengers who have checked-in online or on their mobile device can now tag and drop their bags in less than a minute using SITA’s Scan&Fly self bag-drop units. Scan&Fly’s plug-and-play design allows the bag-drop solution to be easily installed onto existing airport check-in desks, maximizing terminal space while leveraging the speed of self-service. Using SITA’s Airport iValidate, Lanseria International Airport will be able to automatically verify all types of boarding passes, including home-printed A4 and mobile boarding passes, increasing security and speeding up the check-in process for passengers. Behind the scenes, the airport will roll out new baggage reconciliation technology from SITA, providing passengers with greater confidence that their baggage will arrive with them at their destination. It will help airlines using the airport to comply with IATA’s Resolution 753, which requires that they track bags at key points during the journey. The airport is also upgrading its common-use kiosks and desk infrastructure to use SITA’s cloud-based solution, eliminating the need for local servers. This common-use infrastructure is critical in providing greater flexibility for airlines operating from the airport by allowing them to share common-use terminal equipment (CUTE) for check-in and boarding. A US wireless carriers going to launch unlimited access in aircraft from 120 countries and with some 20 airlines, so they say. We understand unlimited pricing of $10/ month for inflight Wi-Fi and with global coverage! The founder noted, ”Customers will also enjoy in-flight connectivity on all the major airlines at a more affordable price than what the airlines and other comparative services are offering. This Unlimited Wi-Fi plan is a game-changer when you travel abroad. Instead of paying for international roaming, which can be quite costly, you have a whole network of hotspots ready to be used anywhere in the world.” Stay Tuned! Aircraft Interiors Expo – Long Beach CA. 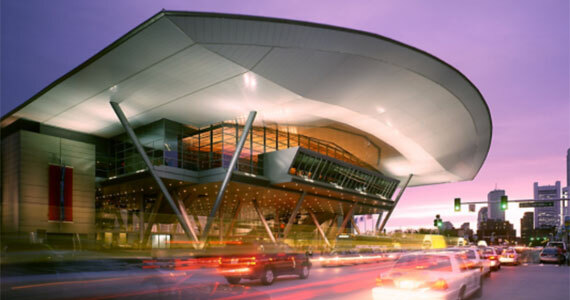 In February, Reed Exhibitions and the Airline Passenger Experience Association (APEX) announced a long-term strategic co-location agreement for the fall expo event in co-ordination with the International Flight Services Association (IFSA). This year’s event will take place from 26-28th September 2017 at the Long Beach Convention Centre, California, and is the only fall event dedicated to the Passenger Experience Industry. The events will welcome more than 300 exhibitors from a wide range of renowned companies exhibiting at AIX Long Beach and APEX, including Acro Aircraft Seating, Avio Interiors, Diehl, Gogo, Inmarsat, Isovalta, Panasonic, Geven, Thales to name just a few. Over 30 unique airlines such as; Etihad Airways, American Airlines, Singapore Airlines, British Airways and many more from across the world are already confirmed to attend with many more expected to register in the run up to the show. 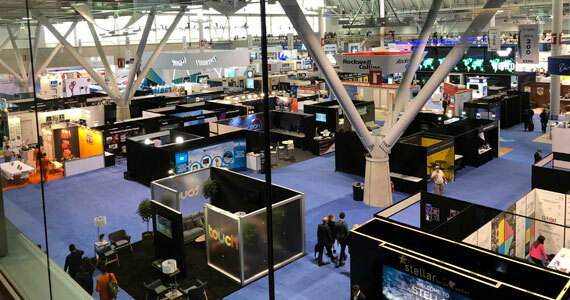 Katie Murphy, Senior Exhibitor Director at Reed Exhibitions, said: “To have virtually all of the exhibition space already sold is testament to the growing popularity of the fall event dedicated to the passenger services industry. “AIX Long Beach brings together APEX, IFSA and AIX into a powerful partnership and to have generated so much interest already gives us great confidence that it is quickly becoming established as the must-attend event for the passenger experience industry in the fall.” The co-located passenger experience event is the largest in the fall, showcasing the latest innovation, technologies and products in the industry, such as galleys, lighting, cabin management systems, IFEC and passenger services. Air Berlin has filed for bankruptcy today and you can read the story. Air Berlin has filed for bankruptcy today as Etihad cut off financial support – and you can read the story here. Singapore | October 25, 2016– Rockwell Collins’ today announced that its industry-leading Airshow® Moving Map for airlines is available for web browsers on smartphones, tablets and laptop computers as part of PAVES™ Wireless in-flight entertainment system. All major operating systems with HTML5-based browsers will run the real-time flight data application, keeping airline passengers informed and entertained on their own devices. Support for six default languages, including English, French, German, Spanish, Arabic and simplified Chinese, with the ability to configure additional languages. The addition of Airshow for browsers expands its footprint in the commercial aviation market as the moving map standard, continuing its proven performance of keeping airline and business aircraft passengers aware of their journeys for more than 30 years. Peterborough | July 18, 2016– Flying Colours Corp., the North American MRO, completions, and refurbishment company has selected Rockwell Collins’ Venue™ cabin management and high-definition entertainment system for retrofit installation on all future CRJ ExecLiner conversions. The first installation has already taken place at the Peterborough headquarters as a Bombardier CRJ200 conversion nears completion to a VIP ExecLiner format, a business jet configuration that Flying Colours has made its own. The aircraft will now be able to maximize the capability to display HD movies, enhance digital audio throughout the cabin, and broadcast other high-resolution content, including the Rockwell Collins Airshow® 3D moving map. Cedar Rapids, Iowa | May 18, 2016– Rockwell Collins today introduced a series of high-definition (HD) cabin management and entertainment system upgrades for Gulfstream aircraft originally delivered with ACMS and Micronet systems. These upgrade options, available through Gulfstream Service Centers or Rockwell Collins-authorized dealers, provide operators with a range of solutions for converting their cabins to HD and addresses obsolescence of the original equipment. Depending on which system is upgraded, Rockwell Collins offers packages that range from a simple refresh of the base systems for cabin control to a more robust package that includes its industry-leading Venue™ HD system. Venue, which has been installed in more than 850 private and corporate aircraft cabins around the world, is custom built with the most advanced cabin technologies to emulate the latest in home entertainment and boardroom technology. Plus, Venue’s open-architecture design provides a path to easily implement future cabin technologies. Irmen added that major maintenance inspections provide the perfect opportunity to update cabins—saving time and money—and many legacy Gulfstream aircraft with ACMS and Micronet are due for inspection in the next few years. He went on to emphasize that ACMS and Micronet systems will both be obsolete in the near future.